General David Petraeus for Secretary of State! My career hasn’t been connected to politics like some, but it has sent me to the far reaches of the earth and allowed me to meet some pretty influential people. Of the candidates still being considered for appointment as Secretary of State, only one stands out for me. I haven’t met or read about any of the remaining candidates except Retired General David Petraeus. Admittedly, Petraeus is severely handicapped with the baggage he carries over his security violation, but considering the rest of his history and experience, I still think he’s the best man for the job. Petraeus’ military career has not only put him in positions of leadership, responsible for thousands of Soldiers, Sailors, Marines, and Airmen, but also in connection with administering his assignment forced him into dealing with foreign military and civilian leaders and their governments. Up to the point of his security violation there had even been some talk of nominating him for POTUS. 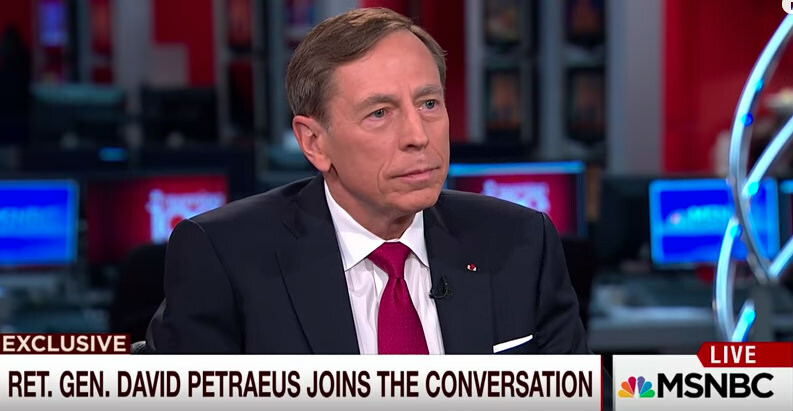 As intelligent as the retired general is, and it was obvious in talking with him, Petraeus has learned his lessons and will never repeat his mistakes. Given the chance to prove himself once again, Petraeus will make one of the great Secretarys of State. What may be even more important to the President-Elect is the probability that Petraeus will be extremely loyal to the man who gives him the chance to honorably serve his country once again. I currently live in Texas, but originally from NW Illinois. My career before retiring in 2005 included 19 yrs law enforcement and 26 years active Army. I taught classes at KCKs Community College and have served as a pastor for two churches. I have one book published and several magazine articles. When did the Government become our Ruler?Special Privileges for the "Elite"